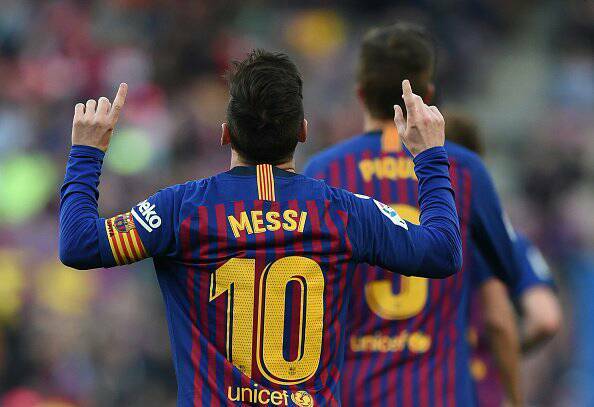 Just after pulling a brilliant solo show to get the essential W for FC Barcelona at the weekend, Lionel Andres Messi was on the scoresheet once again on Tuesday as he inspired a breathtaking comeback to draw his club level against Villarreal after giving away a two-goal lead. The game began with high spirits with Philippe Coutinho slotting in from close range early on after a typical Barca style square play. Malcolm doubled with a brilliant header at the 16th minute just four minutes after the opener and most thought Barca was cruising but the night bottled more surprises for the teeming audience. Nigerian born Chukwueze was first to kindle the flames of revenge for Villarreal after cutting nicely between the two Barcelona centrebacks who appeared to be conflicted. Midfielder Toko Ekambi equalized 15 minutes into the second period, slotting comfortably behind Ter Stegen after a simply sublime counter attack . FC Barcelona rallied to push for a breakthrough goal manager Ernesto Valverde brought on an unusual subtitute in person of Lionel Messi. This substitution wasn't immediately effective as Villarreal further extended their lead through a clinical Iborra finish two minutes after the hour mark. After this goal, Barcelona literally struggled as they tried to create chances from the blues. Like a knife to the heart, Carlos Bacca netted what seemingly appeared to be the coup de grace and nearly all Barcelona fans worldwide had given up. However, this was the moment the 5 time Ballon 'D Or winner changed the entire outcome of event. An infringement near Villarreal's 18 yard led to the referee awarding a free kick to Barcelona. None other than Lionel Messi stepped up to power a blazing shot into the top left corner with just 89 minutes on the clock. With 3 minutes added on, Barcelona were in a race against time and turned up the heat on the host team's defence. This movement led to a corner which could have been said to be the final kick of the game. A brilliant cross led to a deflection that was volleyed in from yards by Luis Suarez which brought an end to another magical night of Spanish football. The return leg will be at the Camp Nou and Villarreal will have a mountain to climb should they concede.